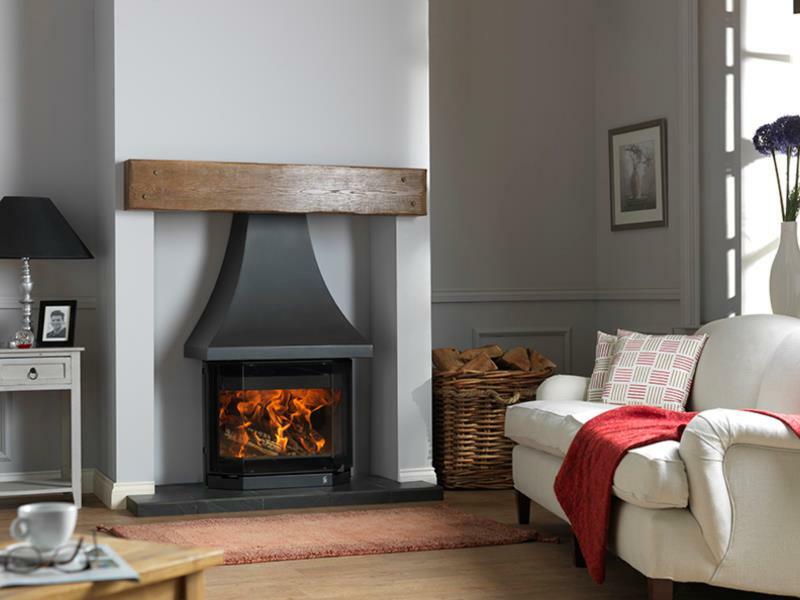 The Elmdale is the contemporary solution for traditional large inglenook fireplaces. Offering an expansive view of the fire through the impressive, airwash equipped, angled glass door. Designed for woodburning only, this Smoke Exempt stove allows you to burn wood even in smoke controlled areas.